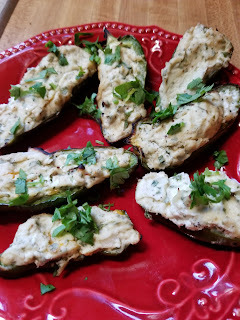 I love jalapenos and I am so glad I was able to make these compliant. I use the almond cheese I make in these- you will need to make this a few days in advance. 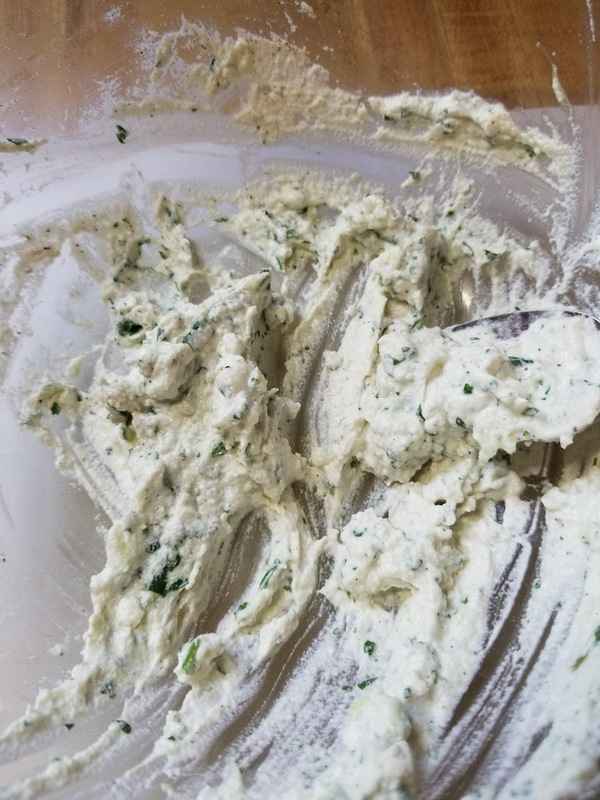 You can find the recipe here. The filling is also yummy with veggies and with sprouted wheat Pretzel Bites (my recipe here). Use it at a dip at a party or cook out! Chop the onion and garlic in a food processor. Add the remaining ingredients and blend until just almost smooth. Halve the jalapenos and scrap out the seeds and membrane. 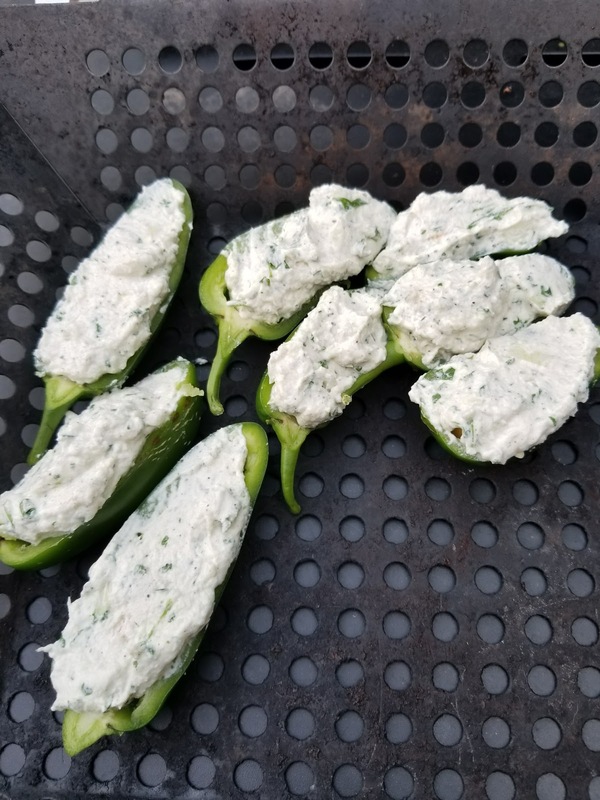 Fill each half with dip and place on baking sheet or grilling pan. Cook on the grill, or in 425 degree oven until the peppers are soft.